When I saw that the asparagus man was back at the market on Sunday, along with the strawberry man and rows of beautiful fresias, tulips and daffodils, I knew it was Spring. I also knew that I would have to make something delicious to do the first asparagus of the season justice. And somehow my mind went to eggs- the one food I don’t like and never have. Despite this, I think the baby inside me does like eggs because I have found myself wanting to eat them throughout the pregnancy. 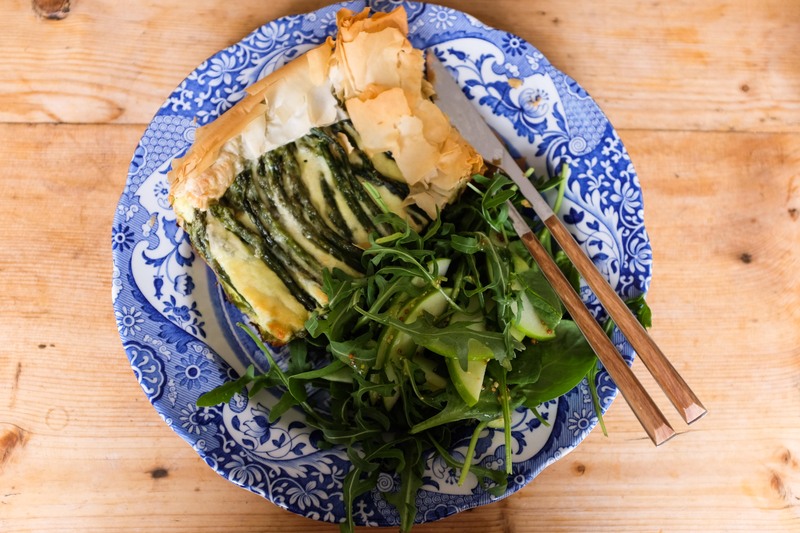 So here is a way to eat eggs without tasting them- a rich and creamy asparagus tart, especially good for thin, young asparagus that hasn’t been left to get tough and woody. Snap the woody ends off the asparagus and discard them. Then chop off about the same again and boil until tender. Whiz them up in a blender with the egg, cream, parsley and parmesan and then pour into the filo casing. Par boil the remainder of the asparagus (the long slim stems) and arrange these across the tart. Pop in the oven for about 35 minutes and voila! A beautiful looking and tasting asparagus tart best enjoyed with a fresh green salad with a lemon, olive oil and grainy mustard dressing. I often get emails from friends asking what I have been reading lately, and there is nothing I love more than discussing books and how people felt about them. It doesn’t need to be an in depth literary analysis, deciding who would be the biggest babe of all the characters is just fine by me! I just finished NW by Zadie Smith this morning. 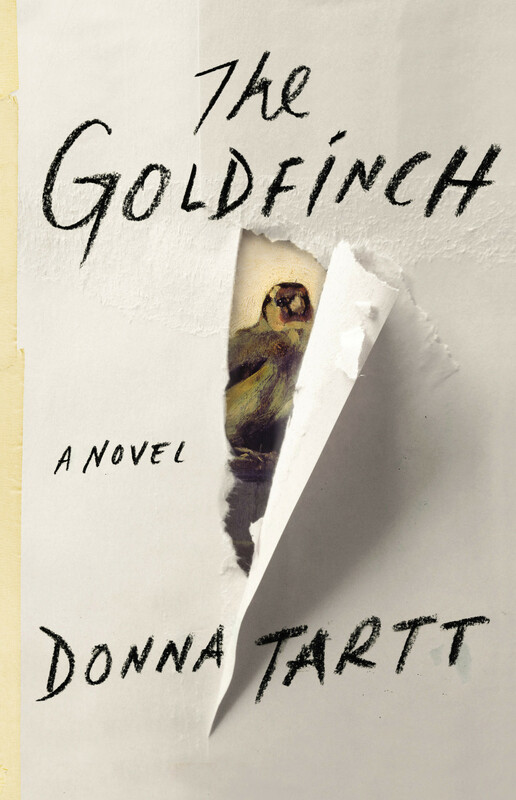 I enjoyed it, but not as much as her last two, On Beauty is such a great novel. I really enjoyed The Flame Thrower by Rachel Kushner but want to find someone to discuss the ending with. It was one of those ones where you turn the page and are surprised it is over. Goodbye Sarajevo is written by two sisters Hana Schofield and Atka Reid who escaped from the Bosnian war and came to New Zealand as refugees. It made me realise how little I know about the conflict, despite having been to the countries effected while backpacking round Europe. I also got on a San Francisco buzz and read The Joy Luck Club by Amy Tan, a novel spanning generations of Chinese immigrants to the city. And a more contemporary take on the city, society and the impact of technology on our interactions, David Egger’s The Circle. To top this off, I have just finished the manuscript of a friend’s first book, very exciting! Any recommendations of what to read next? 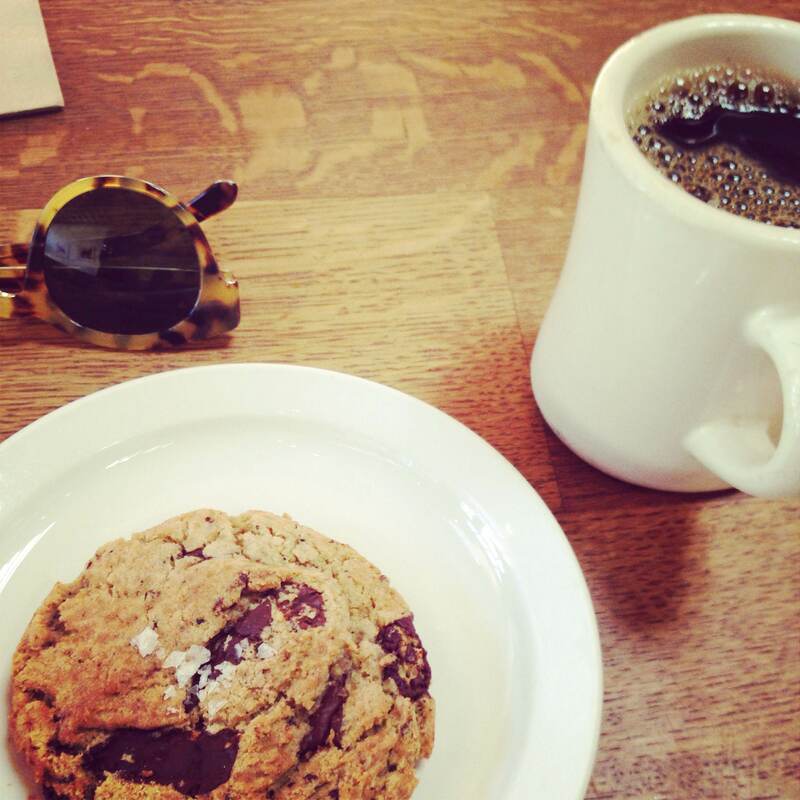 If you are in San Francisco, I have one cafe you must go to. The Mill on Divisadero St, just around the corner from our apartment, and therefore, just around the corner from the Full House houses. It’s a win win situation. 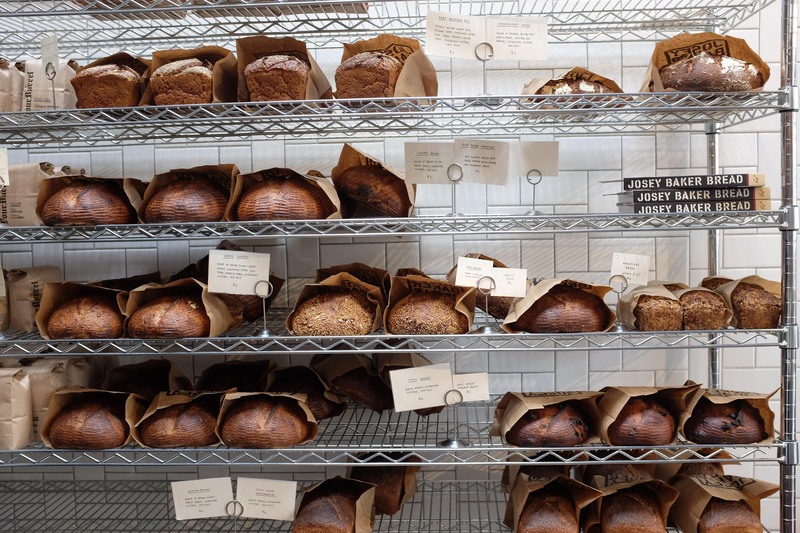 It is home to Josey Baker Bread and Four Barrel Coffee. The menu is simple- toast with a few different options on top. You can have home made nutella, cream cheese and cracked pepper. Sounds kind of boring… until you taste the bread. Wow. You can also get chocolate and sea salt cookies which will blow your mind. The coffee is fantastic, the space is beautiful, the food is good. I feel very lucky to have this place as my local. Two exciting things happened on Friday. First of all our beautiful Nodi rug arrived from India. 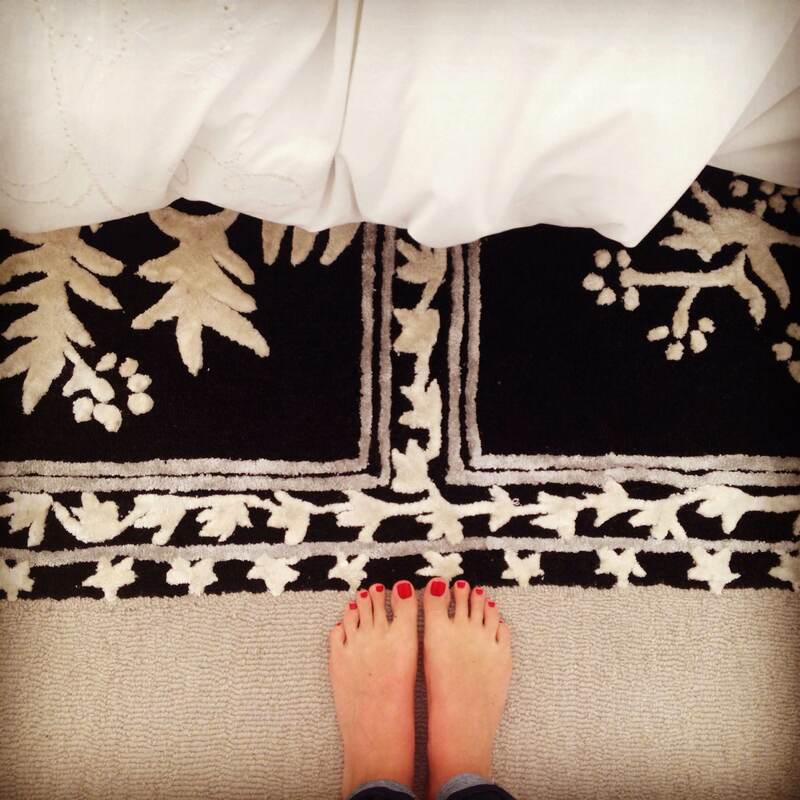 Our amazing and talented friend Livs designs her own rugs and has them hand knotted in India. The result is luxurious and original, the perfect addition to our new bedroom. It is sitting very happily at the base of our bed. Check out her website here. The second thing was we went out for dinner to Nopa, a restaurant around the corner that has a two month waiting list. We went in, had a cocktail at the bar, and the next thing you know we are being seated. It was really good food- think rabbit and mustard pappardelle, smoked trout with quinoa and cherries, pork hock terrine- accompanied by some seriously good wine from the region AND great company. Thank you Charlotte for organising this blind friend date, we can’t wait for the next one! It was a pretty awesome Friday.